Thank you for visiting our Sectional Times 'niche' website. 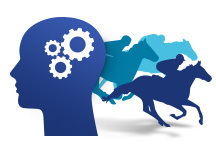 It is intended to showcase our expertise in the area of horse racing sectional times and act as a gateway to our main 'work-horse' website, which you can visit at puntingform.com.au. We hope to share some knowledge by publishing blog articles and to more fully explain the features of our products which specifically relate to sectional times. This is a 'commercial' venture, so you will be encouraged to make purchases, which in turn supports our ongoing research and development in this niche area. Your investment of time and money in 'solving the horse racing puzzle', could lead to a lot of enjoyment and financial reward. We look forward to working with you and receiving your feedback. The first electronic form guide for thoroughbred racing to feature a fully integrated coverage of sectional times in Australia was introduced in January of 2013 by Punting Form. This was born out of a desire to have accurate sectional times available for ‘informed’ wagering decisions. As there is currently no 'reliable and accurate' sectional timing equipment used on an industry wide basis in Australian thoroughbred horse racing, we undertake the highly labour intensive task of digitally timing ALL runners (not just winner and leader), off race videos. Approximately 85% of all TAB race meetings are covered along with all Hong Kong and Singapore races. You will find a lot more detail on the timing methods used by 'industry' and ourselves, elsewhere on this site (in the Blog articles and FAQ sections, in particular). It might surprise some to learn that we only compile sectional times ourselves, out of 'necessity'. What is done with these times in terms of converting them to form analysis tools, ratings and rated probabilities, is ultimately more interesting and financially rewarding. A summary view of the features and benefits of our product offerings is shown in the tables below (you can also refer to the Products page for much more detail, including screenshots etc). It is possible to 'toggle' between 'Web Based' and 'Desktop & Database' product views, by clicking on the links at the top of the following table. Once you have seen enough and wish to get started, choose the option which best suits your needs and click the relevant 'Subscribe Now' button. Racing Form Database with every horse run since August 2005. Complete form guide for Australian & New Zealand, Hong Kong and Singapore race meetings (including customisable Speed Maps). Ability to set 'form-filters' against every run for every horse resulting in a tailored form guide. 'Form-Links' show past match-ups between runners in today's race, with relative weight movements, starting prices etc. The means to display race results in a colour coded 'key-race' format, showing up to 4 previous starts, the results of 'this-race' start, and then up to 5 subsequent starts. Good for pin-pointing 'strong' form races. Record and save your own Run Notes, Horse Notes and Race Notes in the form. Black book horses and compile daily bets on to Bet Sheets. Access to our developer API which provides you with CSV or JSON feeds of selected standard form and results data. All the elements of Pro Punter Form and MQG Ratings subscriptions are included. 200m increment sectional time data for inidividual horses covering the majority of TAB races from October, 2012 onwards (ALL runners, not just winner and leader). Form tables consisting of; in-run positions and margins, sectional time rankings, split time rankings and early / late / overall benchmarks in lengths. Sortable tables for both the race and meeting as a whole. A comprehensive set of 'sortable' web based Rating Tables with position in run predictions for upcoming races. Includes early / late / overall sectional time ratings, class ratings, neural and consensus ratings (all rating types are given unique price assessments). Access to our developer API which provides you with CSV or JSON feeds of a more comprehensive set of selected benchmark, ratings, form and results data. Our Meeting Quick Guide (MQG) rating sheets (printable .pdf documents). Easy to understand format showing jockey colours and each rating column sorted by rank. MQG .pdf - Top4 runners for each rating category are shown along with run style, predicted settle position and early speed ability for each. Complete meeting summarised in a convenient 2 to 3 page document. 'Rating View' sortable web based form guide tables - a full set of Ratings and position in run predictions for upcoming races. Includes early / late / overall sectional time ratings, class ratings, neural and consensus ratings (all rating types also have unique price assessments). Test your theories over a long period of ratings data using our systems generator. A system purchase is also required for upcoming runner notifications. Access to our developer API which provides you with CSV or JSON feeds of selected standard form and results data, plus basic ratings data. Dig deeper into the Ratings Suite than what our web based, 'at-a-glance' Meeting Quick Guides and 'Rating View' tables can cater for. A 'past-runs' table shows run-ratings covering the last 10 starts for each runner. These run-ratings are 'normalised', such that they are shown 'relative' to the performance typically required to win the upcoming race (class). Past-run ratings can also be displayed in a 'graphical' format for those who prefer a more visual approach to doing the form. Speed maps showing predicted early settle position and late sectional (L600) ability are shown. Due to the detailed nature of this package, a 'one on one' set-up and training session is offered with your first subscription. Single State based data pack subscriptions are also available. NSW+ACT $440, Vic $330, Qld $330, WA $165, SA $99, HK $99, SGP $99 and Tas $77 per month with Southcoast Database (add 20% without). One off Estab fee; Software and Complete Australian database back to 1995: $1,100. Form and Result Updates - Australia+NZ: $4,128 per annum. Form and Result Updates - HK+SGP: normally $990 ea. per annum but incl Free for PF clients. 3 months of SPF Data Pack back-data incl Free. SPF Data Pack back-data is available for purchase back to October 2012 (contact us for $rate per month, dependent upon quantity). Any subscription valued at $330 or more per month also receives access to our Web Based Sect Pro Form. SPF Data Pack monthly rates are based on quarterly payments in advance. All rates including those shown for Southcoast Database are inclusive of GST. Data (incl ratings, sectional times, benchmarks, form and results for ALL runners) is delivered on demand via our API (typically an automated or one-click process). We have several commercial clients who have signed up to receive sectional time data based 2 or 3 year period supply contracts. Groups of Punters or Betting Syndicates are considered 'Commercial' users and as such, are usually required to sign long term contracts for supply of data. Data includes overall times, 200m increment sectional times, positions and margins in running for ALL runners (not just winner and leader). Benchmark or Rating data is not typically included. We cover approx 85% of all TAB meetings conducted in Australia along with all Hong Kong and Singapore racing. One nominated staff member/user receives access to our Web Based Sect Pro Form. Data is delivered on demand or set schedule via our API (typically an automated or one-click process). I'm lost without Punting Form. It has become the most important tool I use when 'doing the form' and has helped take my form analysis to a new level. Punting Form not only provides accurate sectional and overall times for meetings right across Australia but it displays them in a way unrivalled by its competitors. And it's not just about the sectional times either. There are a host of different features across the website which make punting so much easier. I would recommend Punting Form to any serious punter. sectionaltimes.com.au is a 'niche' website published by Punting Form. A full range of products and services can be viewed on our 'parent' website, where all the heavy-lifting gets done using Amazon Web Services and an SQL Server Database for content delivery.